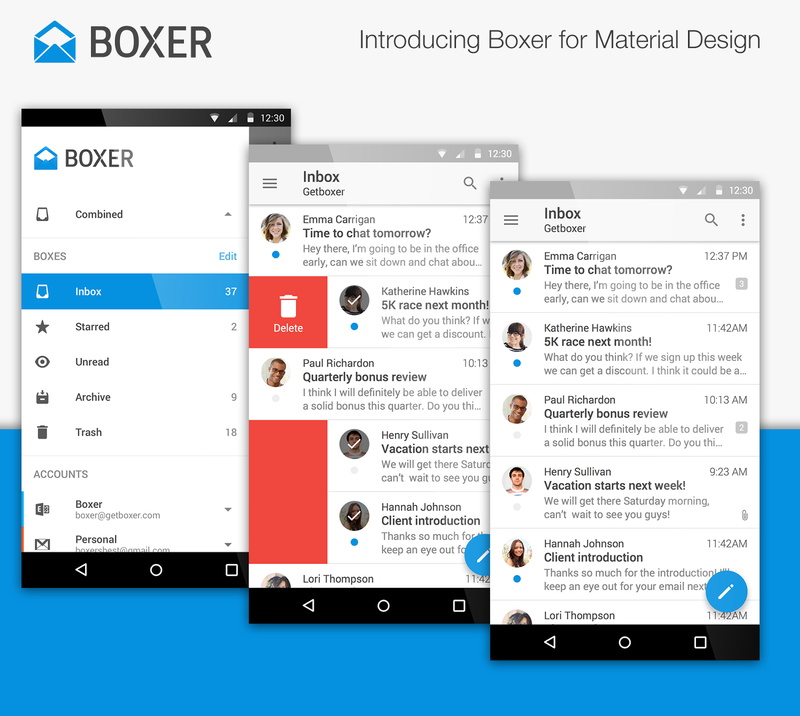 While talking to some folks over at Boxer, it was mentioned that this update is the most significant since the launch of Boxer Mail last September. Full fledge material is being distributed to the Cyanogen mail client, which means the Play Store app will be updated very soon. We are talking about some serious redesign, improvements and some really nice looking mail application. It was already on my top 5 email clients. 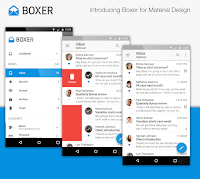 You'll also notice that the app was renamed from Boxer to just plain Email. "We’ve been very inspired by the new material design guidelines that Google unveiled last year, and are very proud today to unveil our own app redesigned from the ground up with this new, more intuitive style. Some fun things you’ll notice include the new floating action button, full height navigation drawer, color and style updates in the toolbar and status bar, circular avatars, and a whole new icon set! And if geeking out on things like “floating action button” isn’t your thing, you’ll still notice how beautiful the app looks." This will be the first OTA to Cyanogen - arriving in the coming weeks. Faster mail searching on Gmail accounts. Improvements made to imap syncing. Improvements made to app speed. You can now create a new folder/label. Improvements made to battery usage.